66 percent of respondents to a recent survey stated that careless employees pose a bigger security risk to their networks than cybercriminals. The good news is that with the right management strategy, this risk can be minimized. 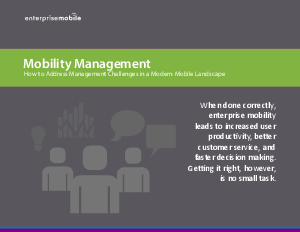 Download our solution brief and learn how to address management challenges while reaping the rewards that mobility has to offer.